LADEE, the Lunar Atmosphere and Dust Environment Explorer, will explore the Moon’s thin exosphere and dust environment to answer long standing questions on the formation and evolution of exospheres which will also help understand planetary bodies with exospheres. 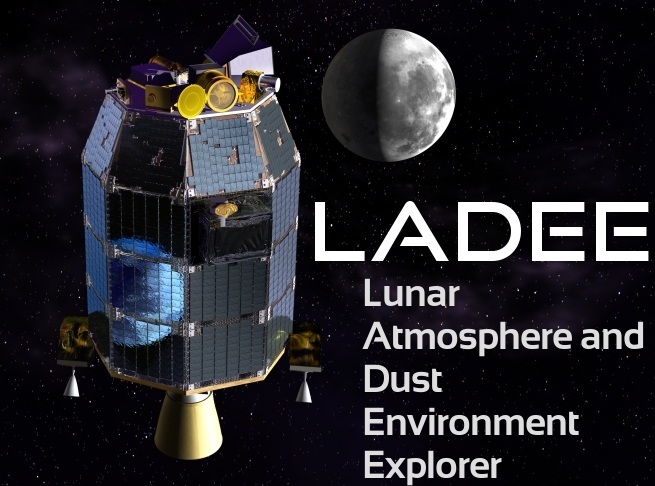 Using a suite of three instruments, LADEE studies the density, composition and spatial as well as temporal variability of the lunar exosphere to probe its origin and study its response to phenomena like solar wind. The mission also attempts to examine the abundance and variability of dust particles that may be present in the exosphere. Scientists want to study the lunar atmosphere in an undisturbed condition before any significant human or robotic activity disturbs the fragile exosphere. In addition to these scientific objectives, LADEE serves as a testbed for new technology – being the first spacecraft based on NASA’s Modular Common Spacecraft Bus that is expected to carry a variety of payloads in the future. Also, LADEE is carrying an experimental Laser Communications System to demonstrate high-data rate communications at large distances to lay the foundation for future Deep Space Laser Communications Systems. LADEE is a small spacecraft launching on a Minotaur V rocket in September 2013. Making its maiden voyage, Minotaur V delivers LADEE to a 25-day trans-lunar trajectory before Lunar Orbit Insertion takes place. Once in orbit, LADEE completes about 40 days of commissioning before starting a 100-day planned science mission that can be extended should LADEE have enough propellants. 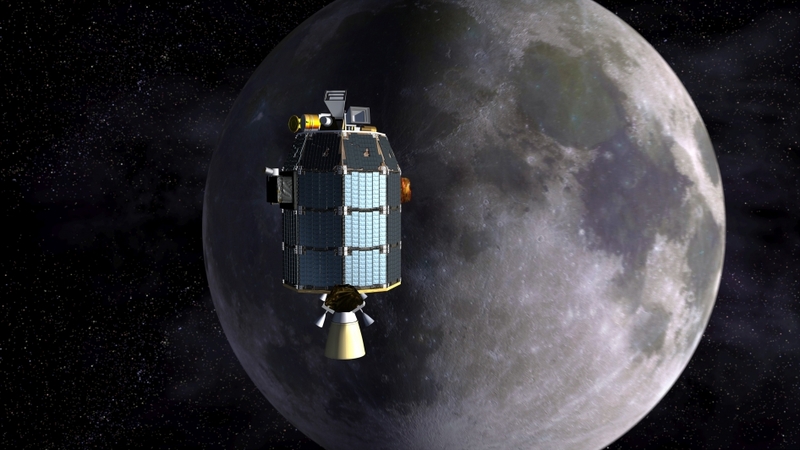 When its mission is complete, LADEE will be crashed on the far side of the moon – just like the GRAIL twins did in 2012 to finish their mission of exploration.